Or just, y’know, footie. But with girls. Feminism and football have never been the easiest of bedfellows. 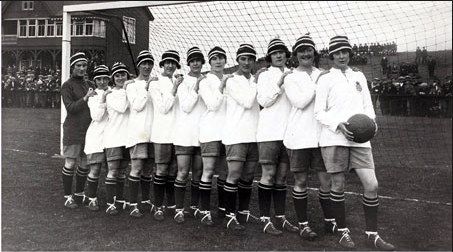 From the banning of women’s football by the Football Association in the 1920s to the sexist comments about female linesman Sian Massey from (formerly) respected broadcasters Andy Gray and Richard Keys, football has always shown a profound chauvinism bordering on outright misogyny, making it very much For The Dudes. How could a feminist ever follow the game that popularised the WAG as a career choice and still sleep easy? On the other hand, there do seem to be some chinks of light at the end of the tunnel. But first the bad points. Football in England is the most loathsome it has ever been. My feminist instincts scream at me when I watch the game I love much in the same way as my stomach punishes me after an all-you-can-eat buffet. Homophobia is still rampant (recently outed Robbie Rodgers retired stating that it was impossible for a gay man to play in England) and every time violence in the stands appears to have gone for good, yet another hooliganism scandal breaks loose. That’s not to mention the constant string of sexual assaults and rapes that professional footballers have committed. Sheffield United’s star striker Ched Evans, Birmingham forward Marlon King and former England defender Titus Bramble are just three high profile convictions. While football fans can be commended for a range of quite wonderful chants aimed at abusing these players, their ongoing employment is not a cause for feminist joy. The toxic mix of poor education, arrogance, entitlement and more cash than can ever possibly be spent has made the professional footballer a step below certain (cough, George Galloway, cough) MPs as far as feminism is concerned. And that’s saying something. Alas, no one in the game appears to have the guts to grab a copy of How to be a woman and shove it down John Terry’s throat, or, preferably, up his arse. Interestingly, Turkish club Fenerbahce’s solution to hooliganism problems was to only allow women and children into the stadium – an idea that arguably could be extended to Millwall. Unfortunately for those of a feminist persuasion, sexism in football doesn’t stop with the men’s game. Attitudes among football fans and players are often that the women’s game is a waste of time. Soccer AM and other sports shows often objectify the players and the focus, as ever, is on how they look. It’s a bit of an anachronism. Ideally the England women’s team should look flinty-eyed, sweaty, red in the face and covered in mud. Not particularly ‘feminine’ as it’s narrowly defined by society but very much footballer. But maybe you can’t blame them; it’s nice for an English football fan to see what success looks like. The women’s team look as though they might win a major tournament which a men’s team has failed to do for nearly 50 years. And it was heartening to see Andy Gray and Richard Keys pick up their redundancy cheques following their sexist comments towards lineswoman, Sian Massey. Women’s football is usually dismissed by the majority of football fans but at the moment there is an opportunity to change that. 23 young women from England are currently playing in the European championships in Sweden and, unlike the men, they stand a chance of actually winning, which makes a refreshing change (as any England fan will tell you). Stewarded by one of the best coaches in football, Hope Powell, there is a sense of optimism in the camp and at home. Many aspects of the women’s game are refreshing for a lifelong football fan such as myself. The England players are down to earth, hardworking and have a sense of their own limitations. This nearly makes me cry with happiness! Footballers! Down to earth! The FA seems to be finally waking up to women’s football and not before time (a symptom of being run by old bald men methinks?). The England players are now centrally contracted, and the game appeared to reach it’s highest point so far when 70,000 people saw Team GB beat Brazil 1-0 at the Olympics at Wembley stadium which is a wonderful come back to those who say that it doesn’t generate interest. Feminist football fans can also look forward to 2017 when Scotland will potentially host the next Women’s Euros. This could truly be a wonderful chance to show the men’s game how to do it. And the men’s game reallyneeds to be shown how to do it. Speaking of which, any Gooners in the Vagenda readership who are unaware of the Arsenal LFC might also like to note that they have won over 30 major trophies since they started including the European Cup. Arsene Wenger might start considering some squad rotation. A virtue of football that suits feminism is that it is a great leveller. If someone is good enough, they will be welcomed. Having been made to look a fool by several female footballers over the years, I know from personal experience that girls are good enough. They can also show that they are good enough to play with the boys up until the age of 14 now thanks to a change in FA rules. Interestingly, a certain Mr Beckham agrees, saying that his daughter Harper 7 could turn out as a major international football star. Thank the Lord for David Beckham – a footballer who, despite frequent jokes to the contrary, is actually using the squidgy thing between his ears as well as a hard thing at the end of his leg. There is still work to do, however, when Wayne Rooney makes more in a month than the entire England women’s team do in a year. While this shows that Wayne Rooney is paid far too much for being an arrogant, lazy, ignorant, greedy, talentless, waste of space, it also shows the undervaluation of the England women’s team. Also, while the expansion of the domestic Women’s Super League is promising, the fact that none of the sides are professional leaves much to be desired. Here it falls to us as football fans and feminists to support our local teams and put our own money where our mouths are. Who knows? We might even enjoy it. The UK lags far behind America in terms of ladies’ football (see Bend it Like Beckham), and we should be ashamed of that. I often think of football in the same way I would a bratty kid. It thrashes around, screams, throws tantrums and makes a fuss until it gets what it wants. But we can’t give up, it is not a lost cause and, with our help, it will one day turn into a normal, reasonable adult. In that way, hopefully it will mirror society. England’s results so far have been poor (2-3 vs Spain; 1-1 vs Russia) but there is still hope as long as we beat France on Thursday. The Three Lionesses are up against it and some things never seem to change regardless of whether the players have penises or vaginas – Germany are the favourites for the tournament and caused heartbreak for England four years ago. If you are a feminist who has so far avoided football because of its unpleasant realities, this tournament could prove the trigger for discovering something new. If you follow football but not the women’s game, this will show you an example of how football could and should be. 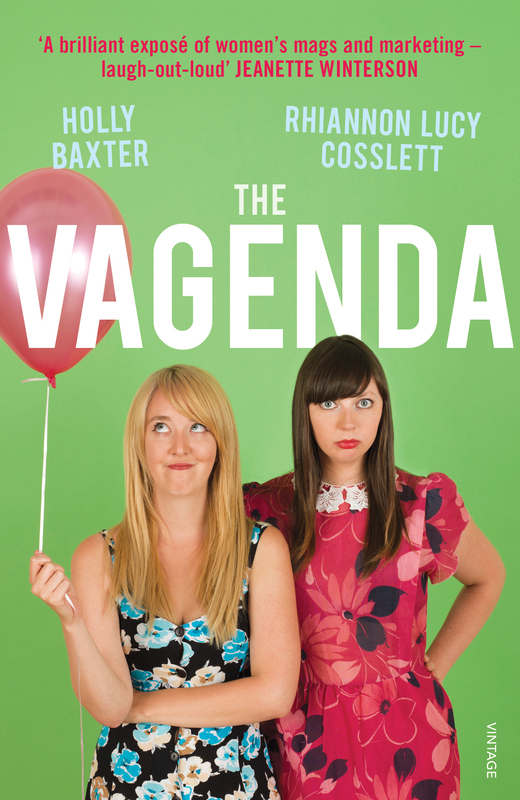 It would be fitting if the Vagenda readership could roar the Three Lionesses onto success. One day it will change and the names Steph Houghton, Kelly Smith and Alex Scott will be mentioned alongside David Beckham, Frank Lampard and Alan Shearer. It’s up to us to make sure that day arrives sooner rather than later. ← When Are You Going To Get Pregnant Already? Women’s football still suffers from a lack of professionalism – in the sense that the quality of the play is hampered by the fact that the number of full-time professionals and access to facilities is far lower than for men. That doesn’t mean it’s not worth watching or televising (I’ve suffered through years of watching mediocre hoofers turn out of Leeds Utd). But to gain much wider appeal, I suspect the quality of play needs to improve. Example: Germany v Netherlands the other night. Germany are the best team in the world (IIRC), but the misplaced passes and poor shooting were not a great advert for the game. The real breakthrough would be complete removal of the gender bar in the sport, as you point out. Women should already compete alongside men of the same quality – plenty of the German “girls” (as the commentators and even expert summariser called them) would comfortably make a living in the third and even second tier of English football now. If the opportunity was there, I’m convinced we’d see a woman in the Premier League within five years. Personally I’m undecided on that issue, but it’s irrelevant because FIFA has made it abundantly clear this will never, ever happen. Test case was a Mexican team a few years ago who wanted to bring in a female striker. Wages in football aren’t set by the almighty sky god. There’s a reason why Wayne Rooney is paid more than Toni Duggan – it’s that more people watch men’s football. Women’s football isn’t ‘undervalued’ as such – it is where it is. It can, and will, grow. Any posts on Trayvon Martin? This is why a lot of black women feel alienated by ‘feminism’. It loves to forget about ALL marginalised women that need solidarity. Women who one day may give birth to sons like Trayvon, who we will have to explain this to. I think I’m done with this blog but you carry on writing sarcastic reviews of movies and menstrual cycles. Really? So the era when black footballers had bananas thrown at them every week was not as bad as now? Or when English teams were banned from playing in Europe because of riot related deaths? Of all the poorly supported claims on your site this is the worst. I was looking for articles on womens football having gotten into the world cup this year & my feelings are echoed here in the comment section – why the preoccupation with white women? In this post when discussing the current state of football, the writer mentions hooliganism, sexual assault, homophobia all of which is true & disgusts me about the sport but what about RACISM? Are we going to leave that off the list? A tutor once said to me that for women to be truly equal, we have to eradicate all prejudice. Increasingly, I feel this blog is aimed at white women who feel feminism began & will end with Caitlin Moran.